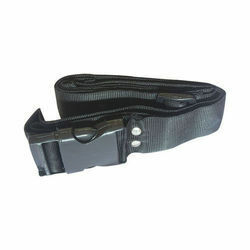 Pioneers in the industry, we offer transfer belt (gait belt) and wheel-chair-belt from India. 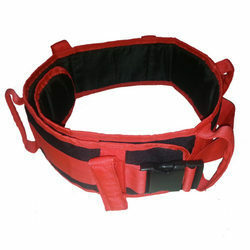 The Transfer Belt by Pedder Johnson with 6 vertical handles enables caregivers and clinician’s to safely transfer and support individuals by providing a number of holding positions. Wheel Chair Belt by Pedder Johnson. This belt goes around the waist of person sitting on wheelchair and prevents them from falling forward. Its size is adjustable.